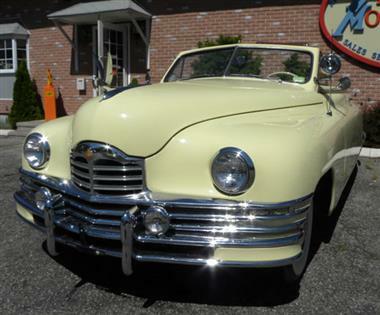 1948 Packard Other in Westbrook, CT for sale. 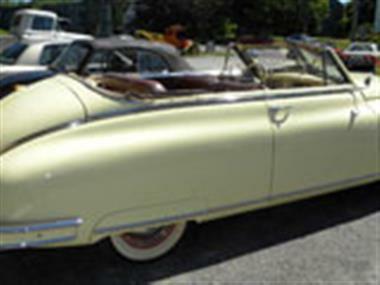 Packard Super 8 Victoria Convertible. 22nd Series. 145 bhp, 327 cu. in. L-head inline eight-cylinder engine with Carter two-barrel carburetor, three-speed manual transmission, independent front suspension with coil springs, live rear axle with semi-elliptic leaf springs, and four-wheel hydraulic drum brakes, a power-operated hydraulic top, bumper guards, dual side-view mirrors, rear-fender skirts, wide whitewall tires and full chrome-plated wheel covers and trim rings round out the exterior features. vin#22798304. 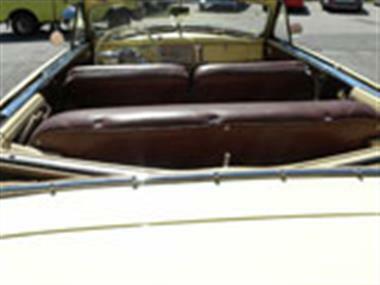 Recently restored, great body, paint ,interior and top. Runs strong, looks fabulous. 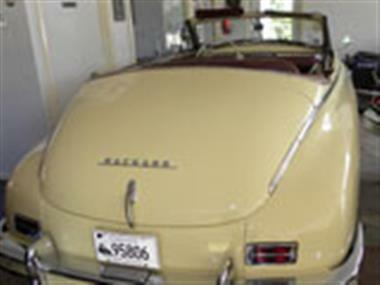 It has Packards electromatic clutch- you dont have to press the clutch. Just reduced to $69,000 from $75,000!